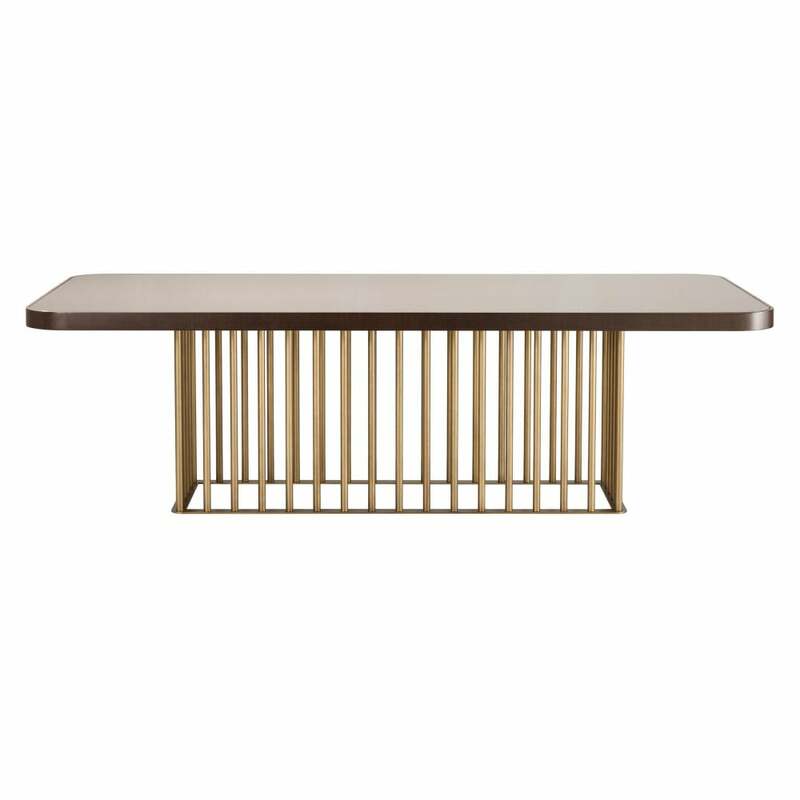 Another stunning design in the Empire range, this striking dining table is a major centre piece, it's strong identity will take the stage in your dining space. The beautiful, rich American walnut table top with it's luxurious sheen, sits on a striking metal, antique bronze finished base frame. The base, with it's formation of vertical lines, gives this table it's unique style, whilst creating a fantastic contrast of colour and texture, the glossy bronze finish catching the light, bringing a play of reflection and shadow. Combine with The Thor or Vendome dining chair and your dining space is complete, ready for that lavish diner party!